On September 27, 2010 The Small Business Jobs Act of 2010 was signed. 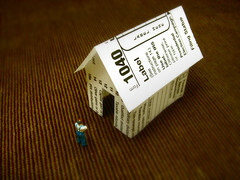 Here is a quick rundown on some tax strategies to use for 2010. These are just some of the major items and various exceptions come in to play. Please check with us to see how they would apply to you. 1. Larger Section 179 Deductions. For 2010 and 2011, you may take the Section 179 expense deduction up to $500,000 if you place $2 million or less of such assets in service during the year. This does not change the limits on sports utility vehicles which is $25,000. 2. Real Property is temporarily included for the Section 179 deduction. This means you can expense up to $250,000 for qualified leasehold improvements. 3. Bonus Depreciation is extended for one more year. 4. Deduction for Self Employed Health Insurance. For 2010 only, the new law allows self-employed taxpayers to deduct their qualified self-employed health insurance on Schedule C. This is big as it becomes a deduction that will reduce your self-employment taxes. 5. No Taxes on Sale of Qualified Small- Business Stock. If you buy or set up a new corporation with this type of Stock from now until the end of this calendar year and hold it for at least 5 years, you will not pay any taxes on the gain when you sell it. Check with us on this as there are many rules you have to follow. 6. Rollover to Roth. You know that there have been rules to convert part of your IRA into a Roth but this has been expanded to allow some employees to convert their 401K balances to Roth 401K accounts. The plan you are in must offer a Roth option and the plan must allow an in-service distribution. Again there are some additional tax strategies to check with this. We have just hit a few of the items in this act. Please contact us so we can see how to take advantage of these ideas for you. Warning, there are many exceptions to these laws so you need to check with a tax professional that can help you. Contact us, you have worked hard for your money, let us help you look at ways to keep it. Here are some related articles you can check out.